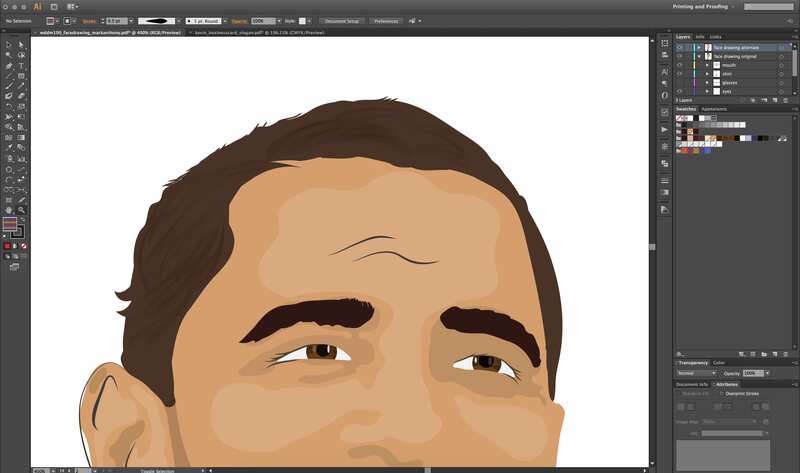 Many of my students, past and present, have asked me how to go about recreating a vector hair brush in Illustrator for their face drawing portraits. So, I decided to put together this quick guide that goes through the steps of creating a custom art brush for the purpose of drawing strands of hair. 1) In your Illustrator document, select your line segment tool (/) and draw a horizontal line while holding down the shift key to keep the line on a 180 degree angle. 2) With the line segment selected, open up your stroke panel (WINDOW > STROKE) and choose “width profile 1” from the profile menu. This will give us a thin beginning and end point on your stroke. 3) Next, select the width tool in the tool box. 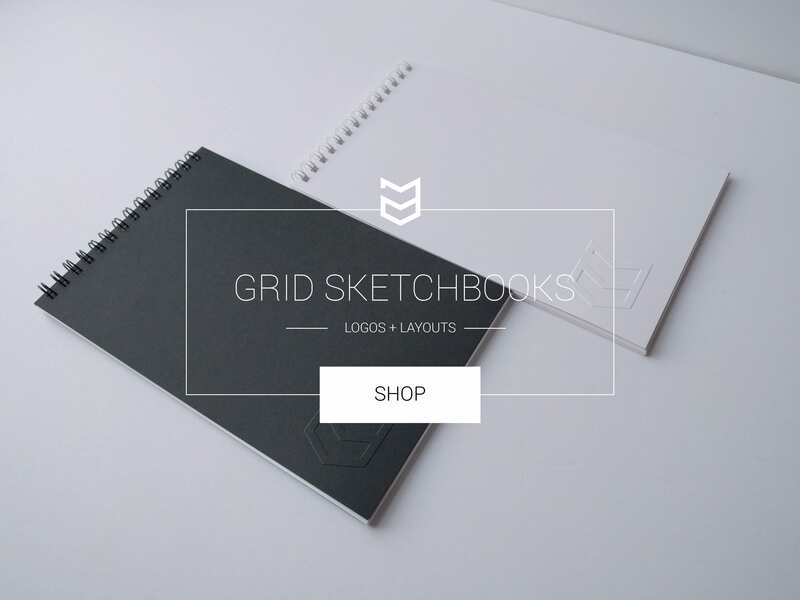 (shift+w) Place your cursor over-top of the center of the line segment. You will see a (+) sign appear beneath your cursor. Click on the path and drag your cursor upwards, while holding the shift key. This is will make the center of the line segment have a thicker width towards the middle. 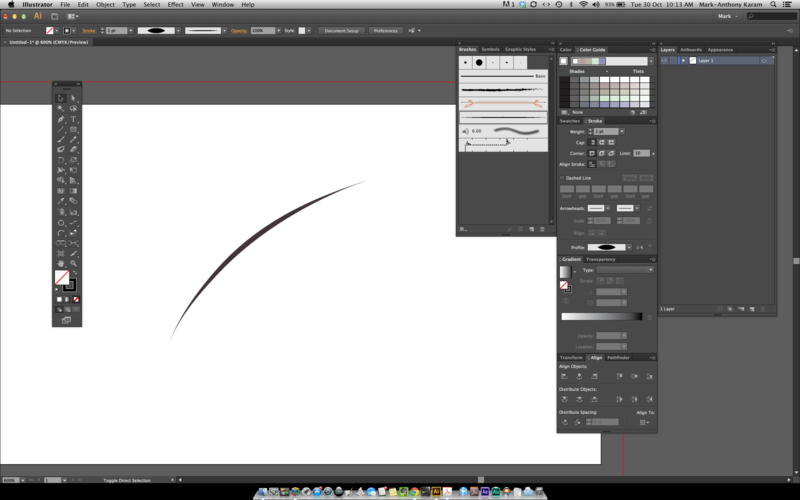 4) Now that we have a nice thin-to-thick line, we are now ready to convert it into a brush. Open up your brush panel (WINDOW > BRUSHES) and simply click and drag the line segment we created above inside of the brush panel window. You will see a dialog box with a few options appear. 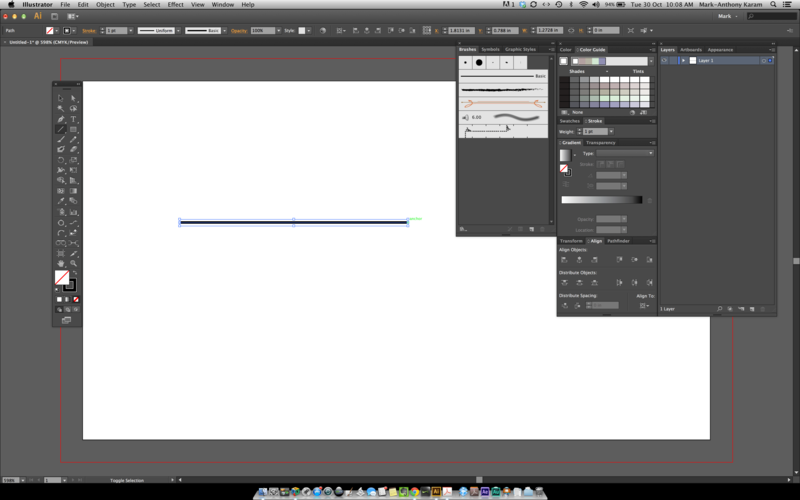 We are going to select “art brush” from the dialog window. An art brush stretches along a shape or object evenly along the length of the entire path. We want this hair brush to do just that when we draw aout our paths, whether they are short paths or long paths. 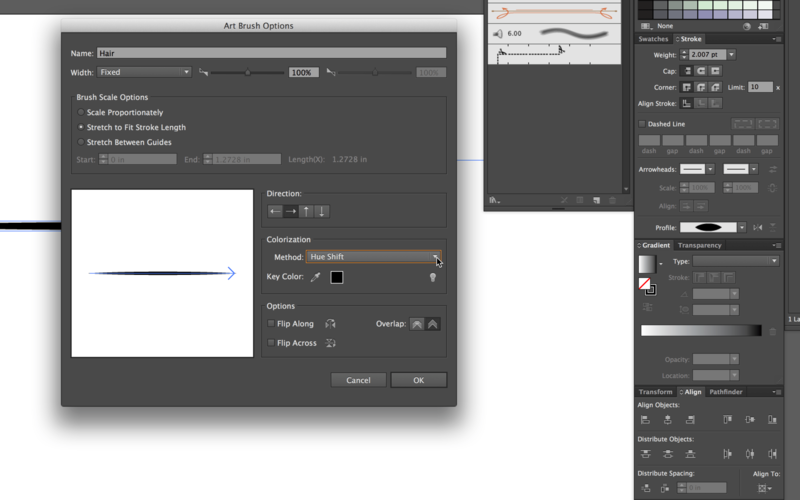 After you click the (ok) button, the art brush options dialog box will appear. In there, we will name the brush “Hair” and give it a colourization method. If we leave the colourization method to “none” our brush will not be able to change colour when we are painting with it. Near the bottom-right of the options dialog, choose “Hue Shift” from the colourization method menu. This will allow us to change the colour of the brush as we begin to paint. *Remember, the attribute responsible for colouring in brushes is the stroke attribute, not the fill. 5) Now that our brush has been created, we can start painting in the accents of the hair, eye-brows, eye-lashes and facial hair. You can always adjust the width or thickness of the vector hair brush by double-clicking on the brush in your brush panel. 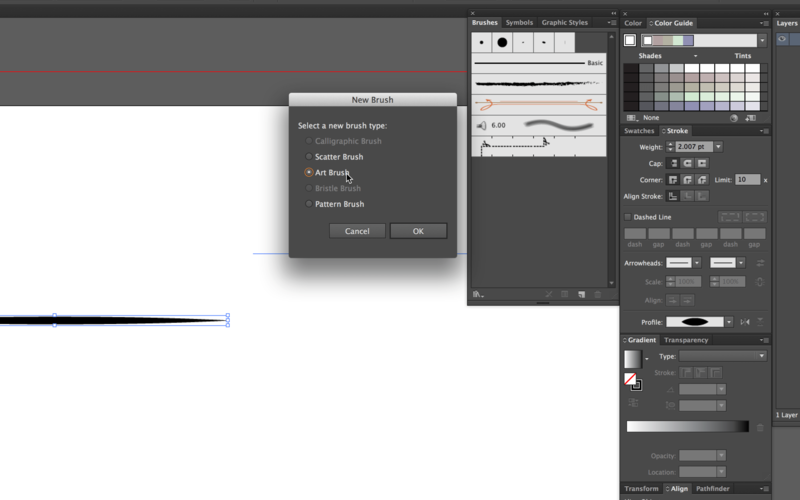 You can also adjust the width of the brush by changing the stroke weight in your control panel or stroke panel. 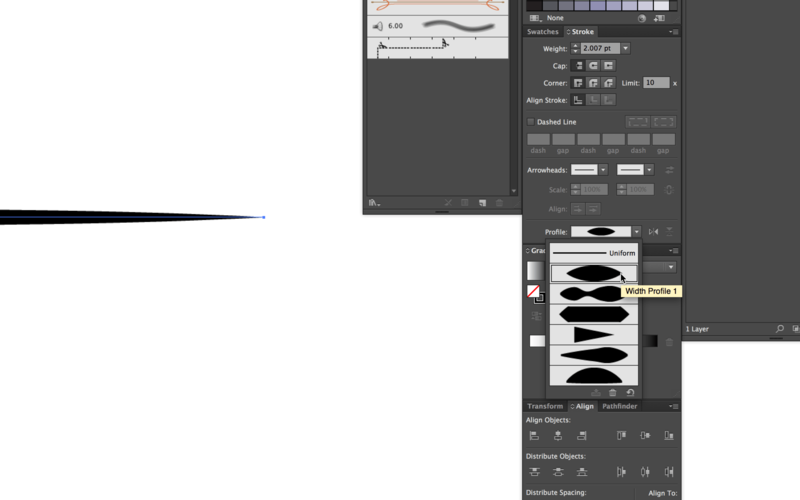 6) To change the colour of your vector hair brush, select your swatch colours via the stroke attribute. To get a nice layered effects, switch between highlight and shadow variations of your hair colour. 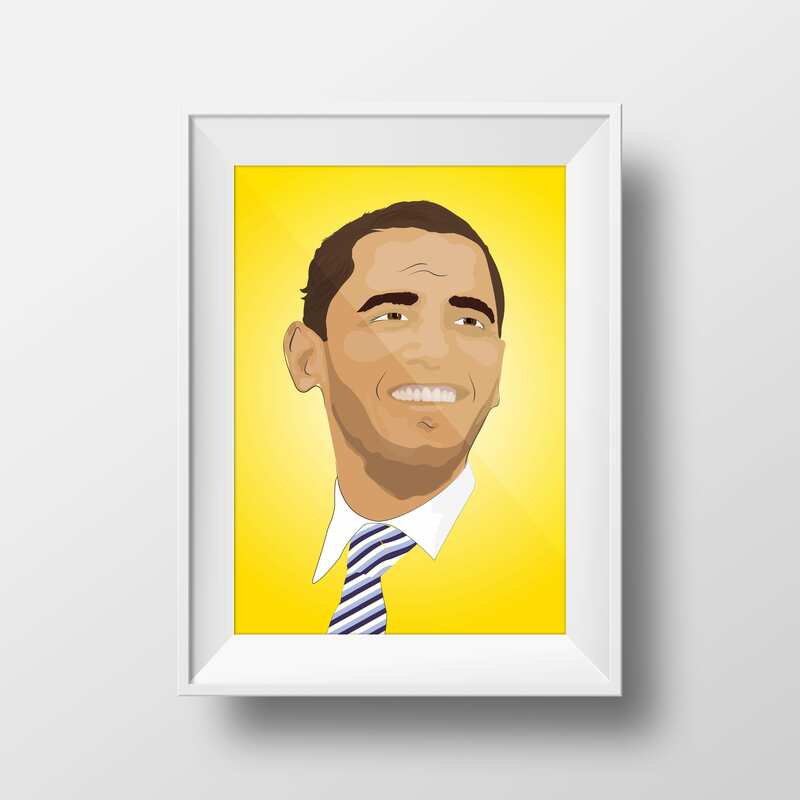 *If you have a Wacom Tablet, the brushes in Illustrator are pressure-sensitive. 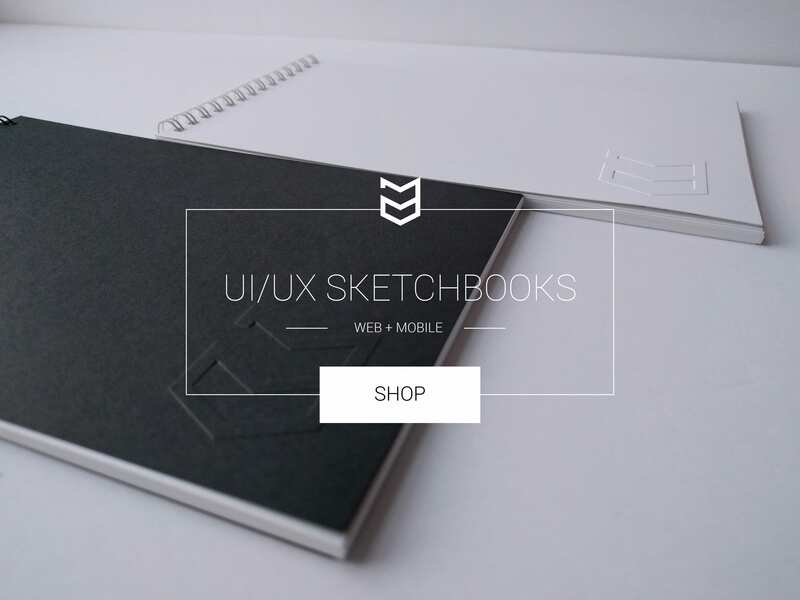 Meaning, you will get different results based on how hard you press down on the tablet vs. how light you press down. 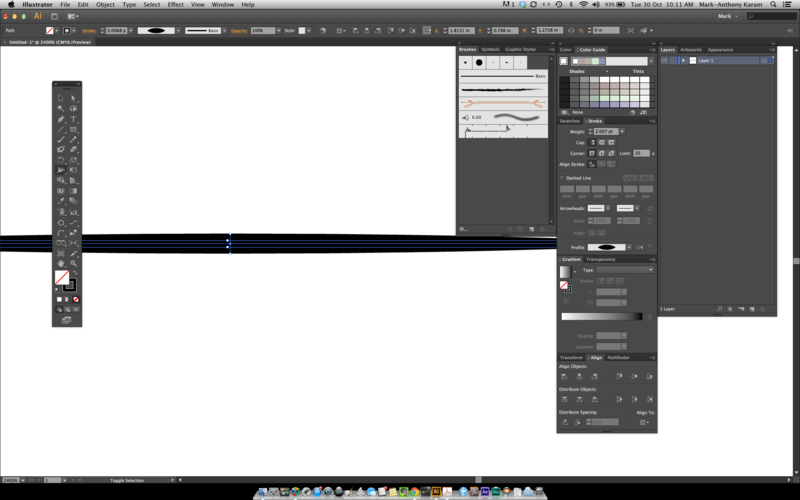 I just installed Cs6 on to my mac and the first thing that I did was create a custom hair brush. It turned out amazing! Thanks so much! Really appreciated that you posted this. Was very clear to follow.